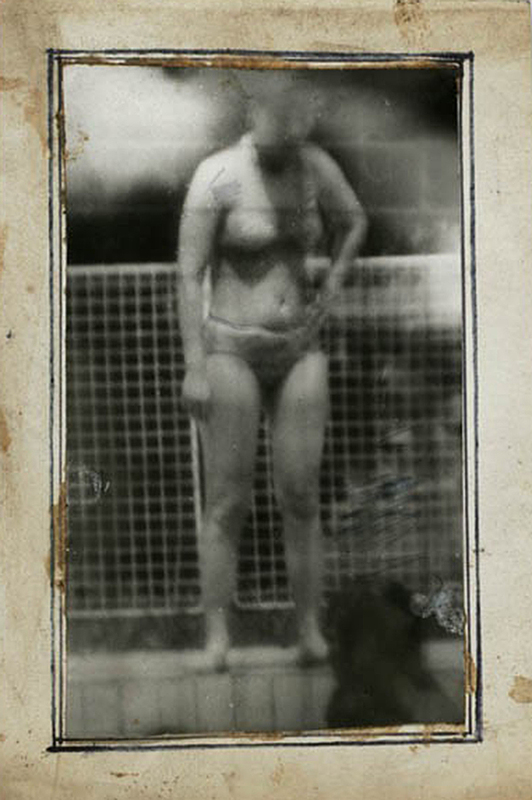 Miroslav Tichý: the old man by the swimming pool. 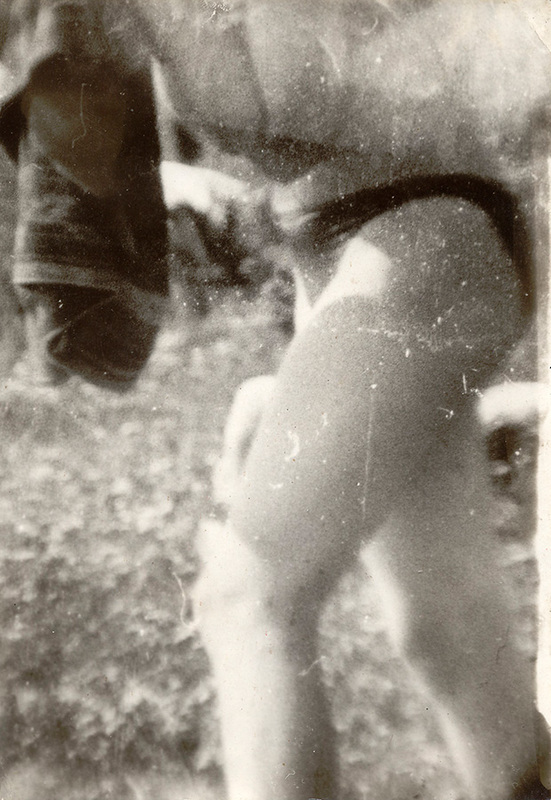 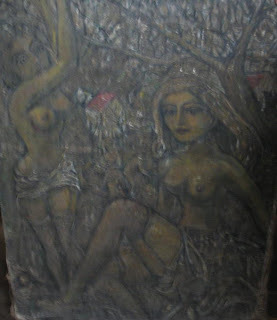 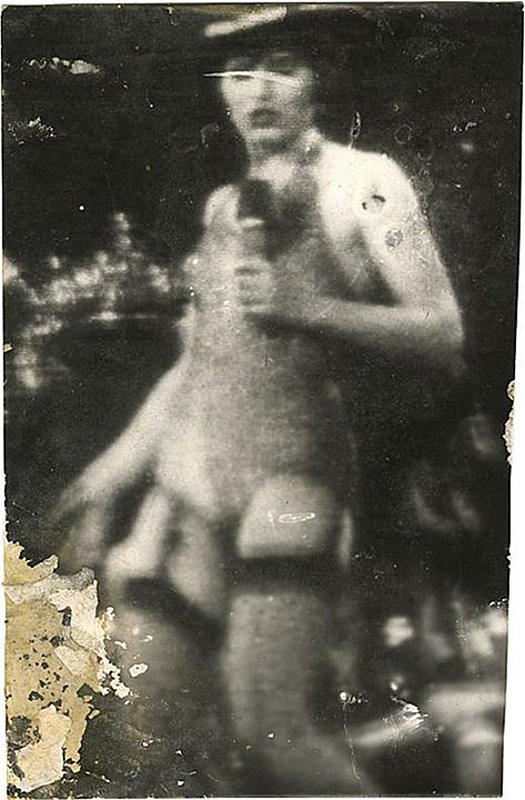 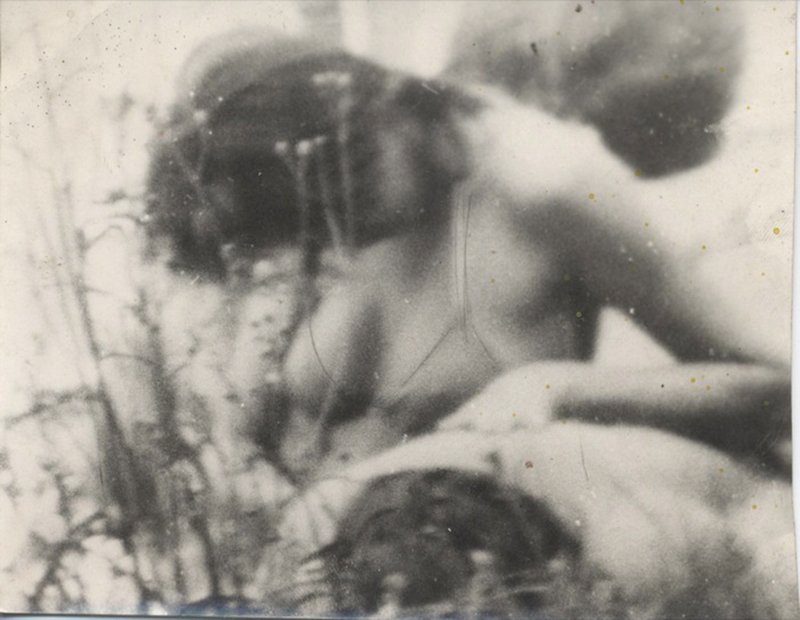 Miroslav Tichý was born in 1926 in the village of Nětčice, part of the town of Kyjov (now South Moravian Region), Czechoslovakia. 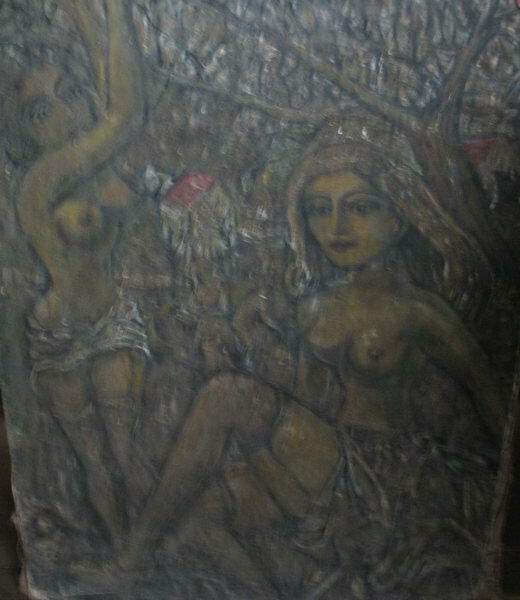 An introverted child, he did well in school and went on to study painting at the Academy of Fine Arts in Prague, working in a style reminiscent of Josef Čapek. 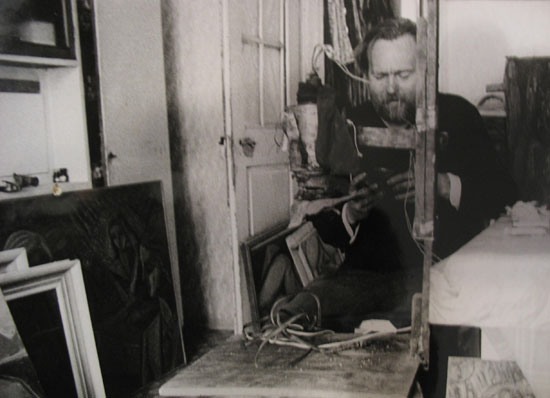 After the Communist takeover of Czechoslovakia in 1948 students at the Academy were required to work in the Socialist mode, drawing workers in overalls rather than female models; Tichý refused, stopped working and quit the Academy. 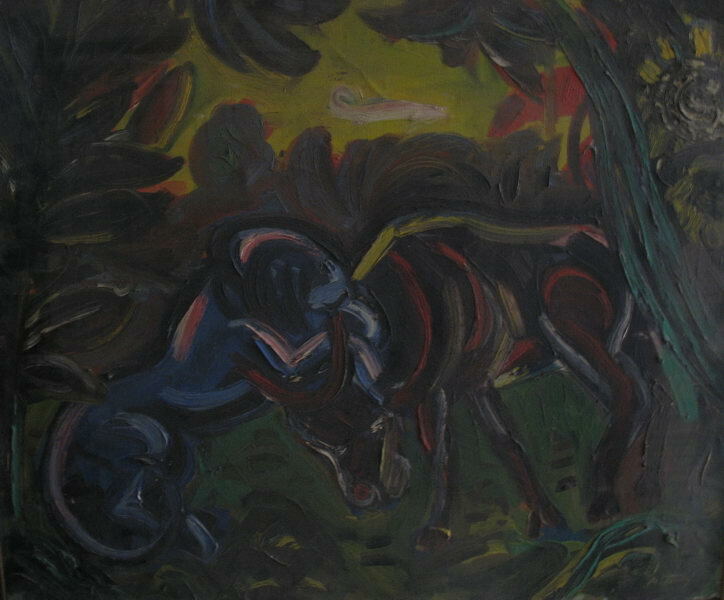 When he returned to Kyjov he lived with his parents on a small disability pension, painting for himself in his own style. 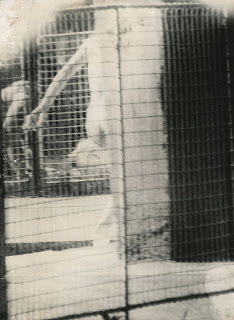 The Communist regime saw Tichý as a dissident and kept him under surveillance; attempts were made to “normalize” him by admitting him to the State psychiatric clinic to keep him out of the public eye. 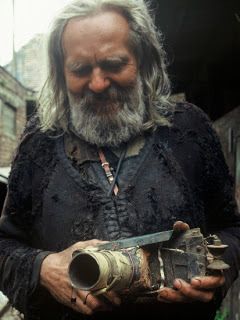 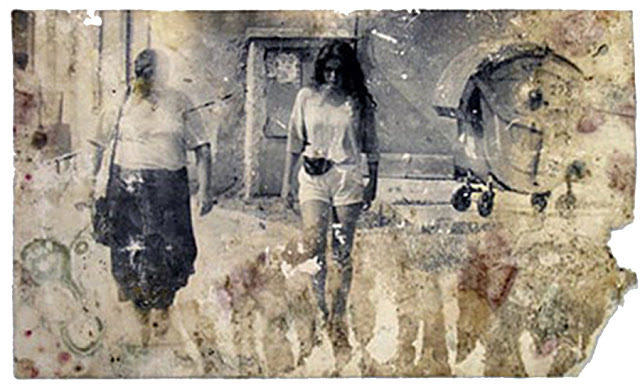 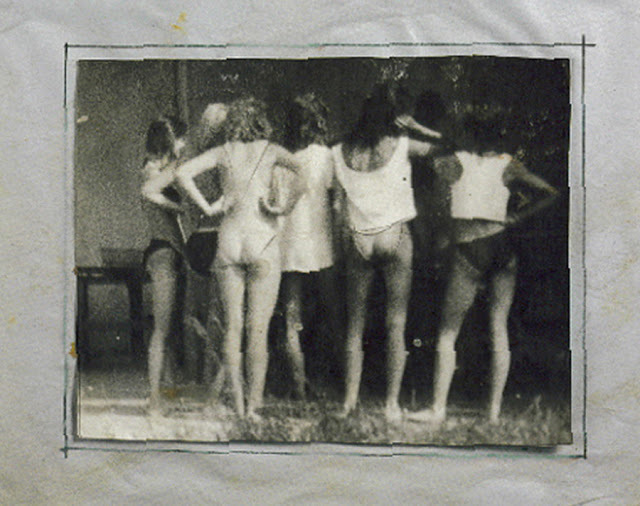 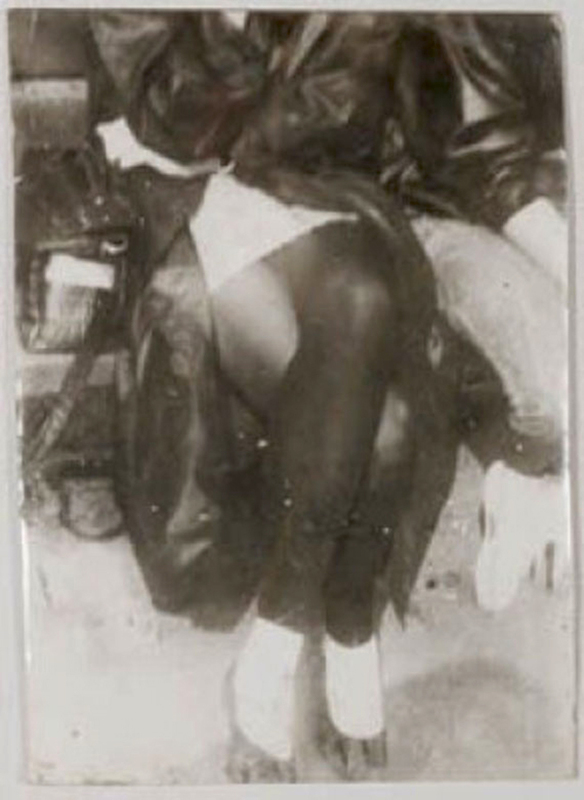 By the 1960s he had begun to disregard his personal appearance, wearing a ragged suit and letting his unkempt hair and beard grow long; about this time he began to wander around town with an intentionally imperfect homemade camera, taking clandestine photographs of local women. only on photography, working in the disorderly conditions of his home. 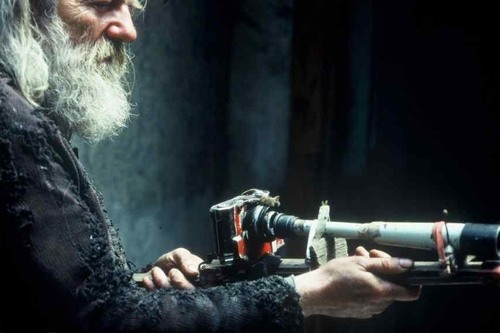 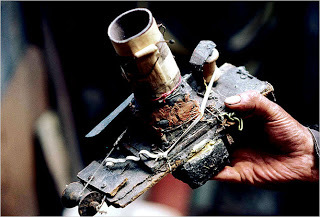 Tichý made his equipment from materials at hand; a typical camera might be constructed from plywood sealed with road asphalt, with a plywood shutter operated by a pulley system of thread spools and dressmaker’s elastic. 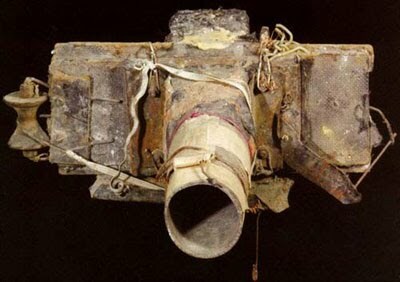 Telephoto lenses were constructed from cardboard tubes or plastic pipes; the lenses cut out of Plexiglas then polished with a mixture of toothpaste and cigarette ashes. 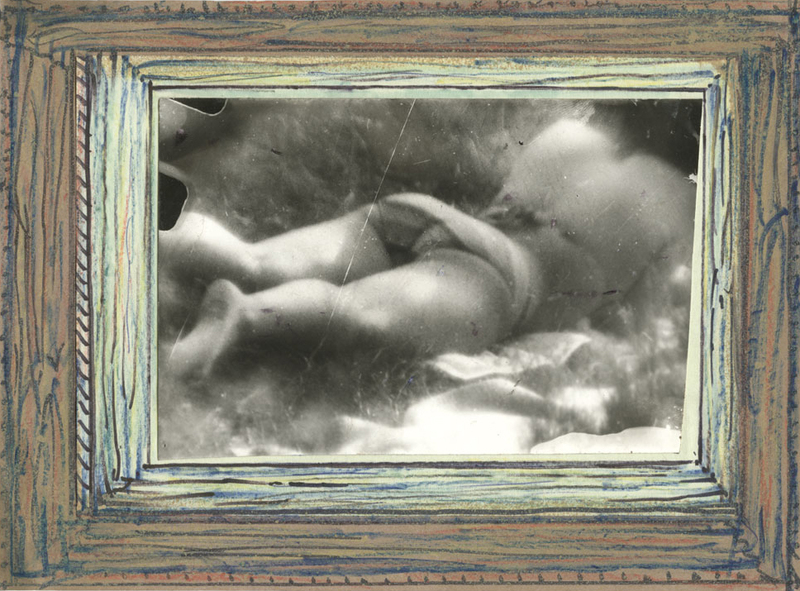 His enlarger combined sheet metal, two fence slats, a light bulb and a tin can. Once a picture was printed, Tichý might scissor off unwanted parts to improve the composition: particularly successful images were pasted onto cardboard or backed with other paper, and he often drew lines to reinforce the subject’s contours or to heighten an image’s expressiveness. 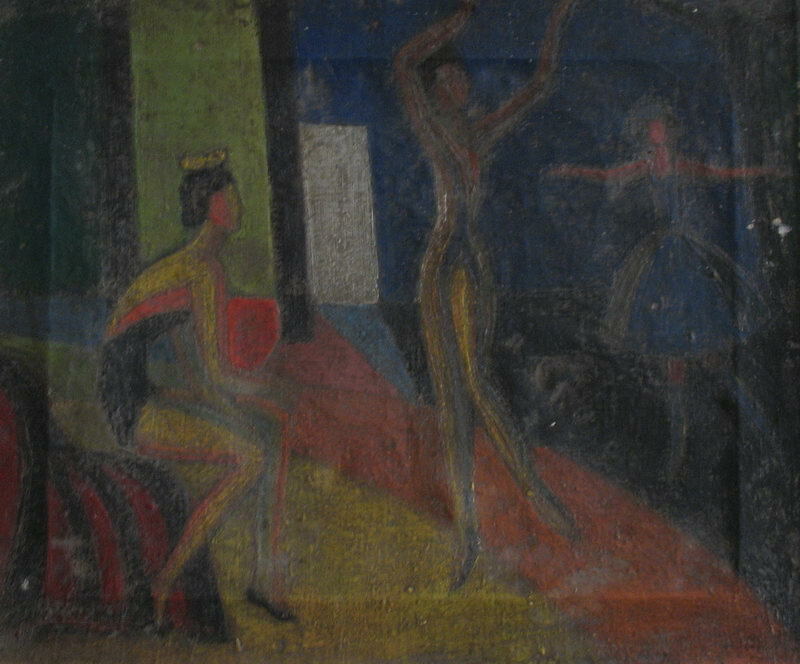 He often decorated the margins with hand-drawn designs. During the years he wandered through Kyjov taking photographs with his crude cameras Tichý was tolerated by the townspeople and merely regarded as an eccentric. 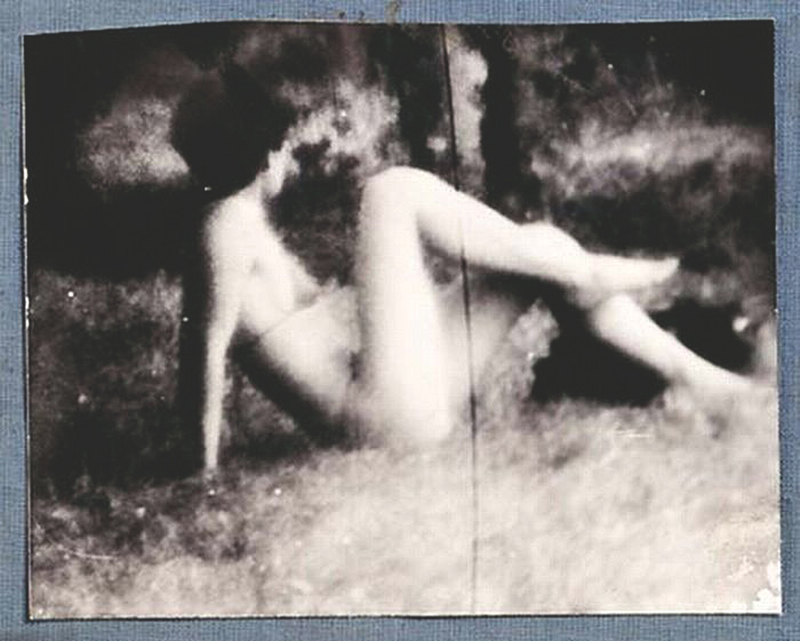 He shot about 90 pictures a day, returning to his disordered home to develop and print them. 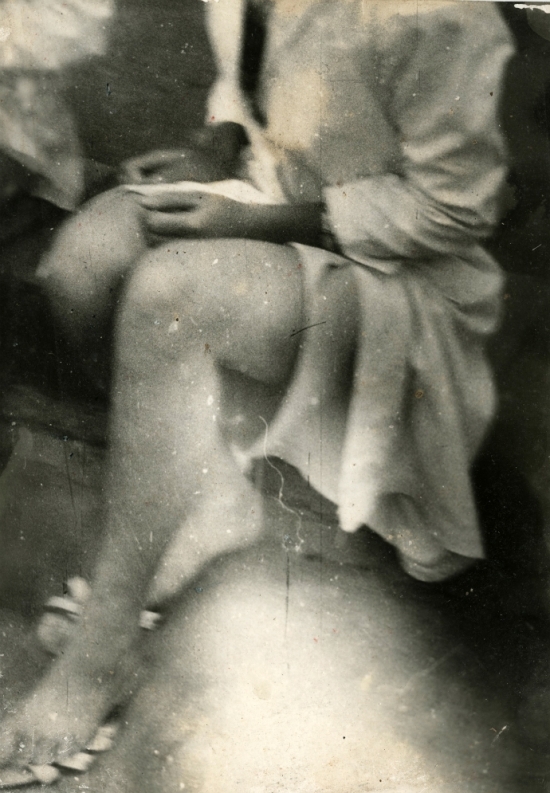 He frequented the streets, the bus station, the main square, the park across from the town swimming pool: stealing intimate glimpses of the women of Kyjov. Although he was not permitted to go to the pool he could photograph undisturbed through the wire fence that often appears in his pictures, adding a suggestion of forbidden fruit. 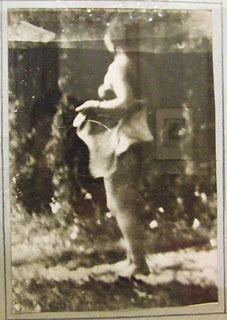 Tichý’s works were unnumbered, untitled and undated. He had no space to properly store his negatives or prints, and once he had printed a picture it was simply cast aside, exposed to the dirt, rats and insects. 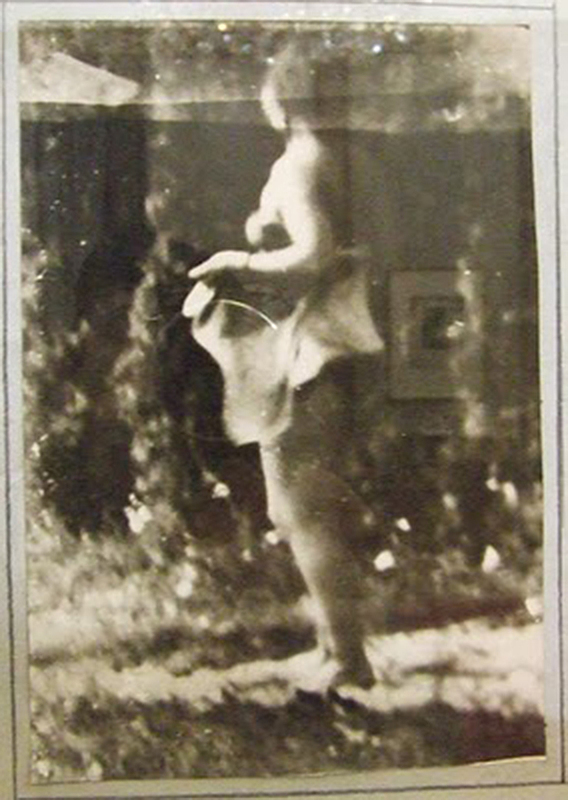 In 1981, Roman Buxbaum, a former neighbor that had befriended Tichý as a child, returned from exile in Switzerland. 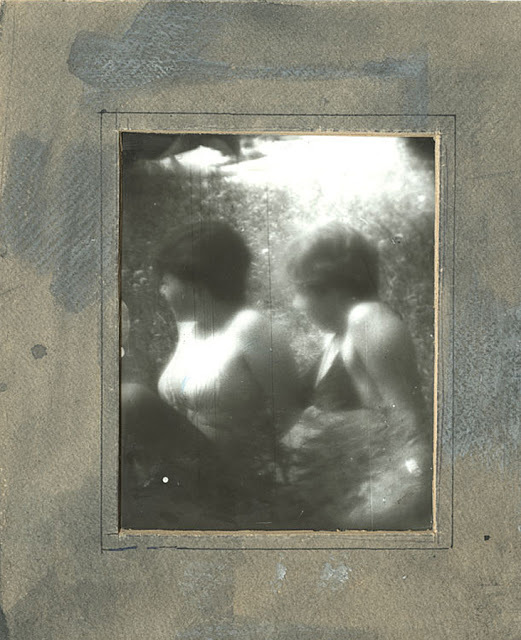 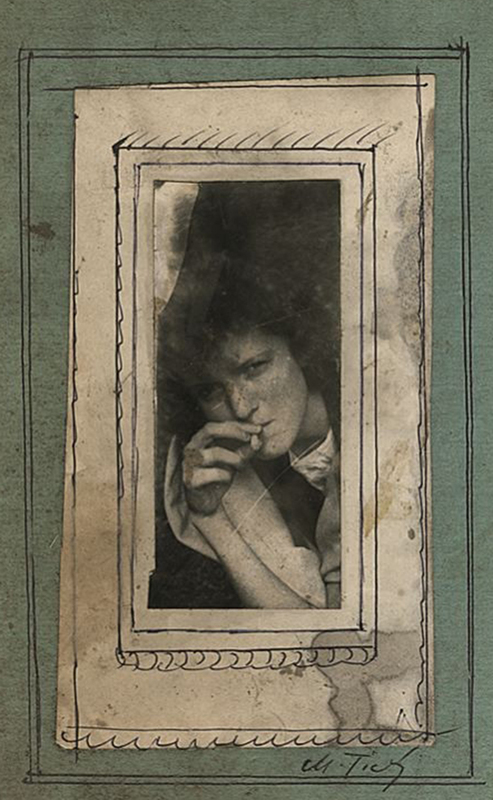 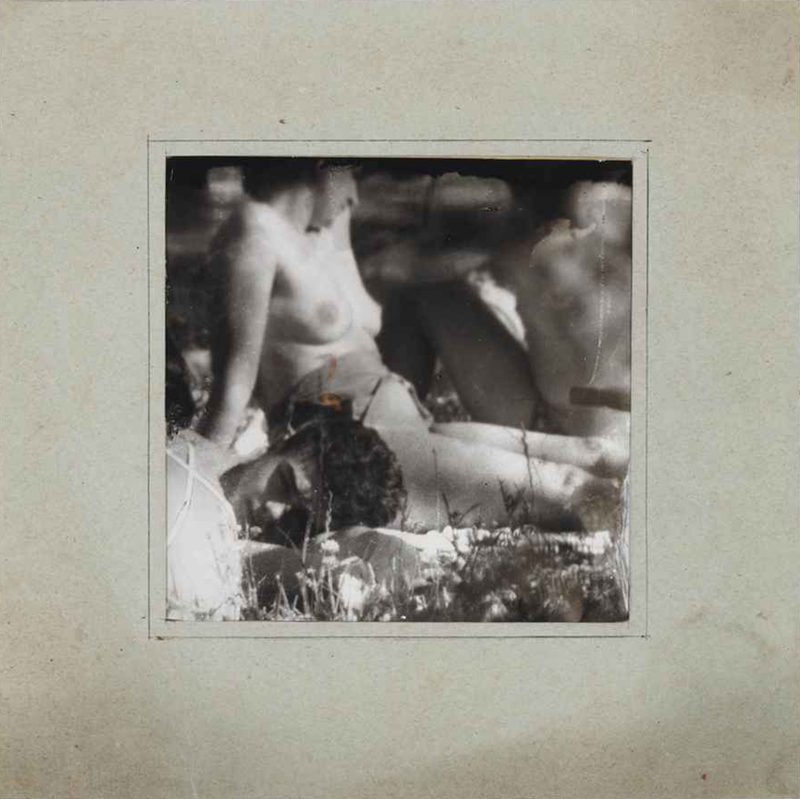 He owned several of Tichý’s paintings and drawings, when he discovered the photographic work Buxbaum began an effort to collect and preserve the artist’s deteriorating photographs. 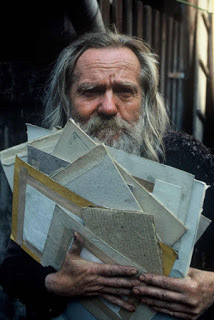 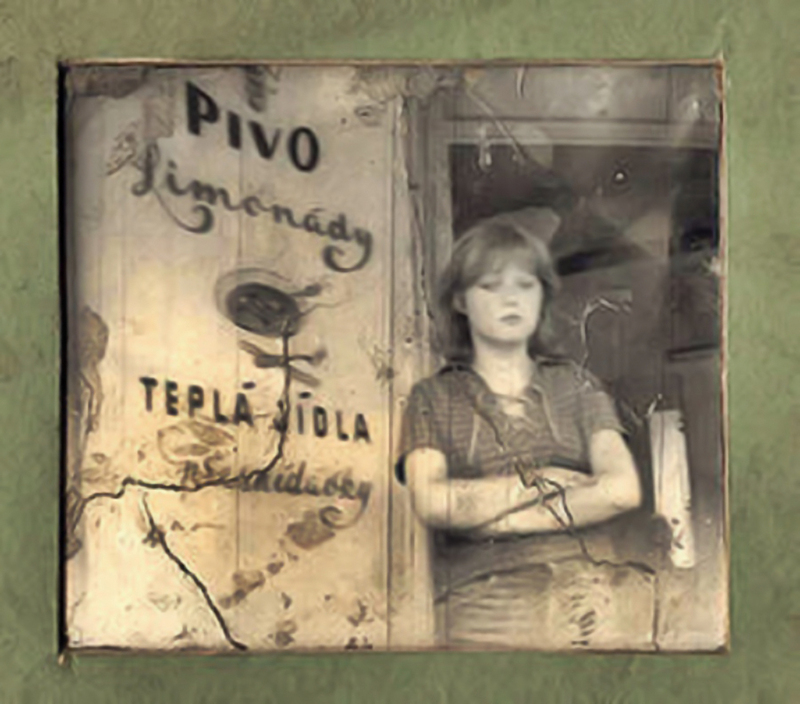 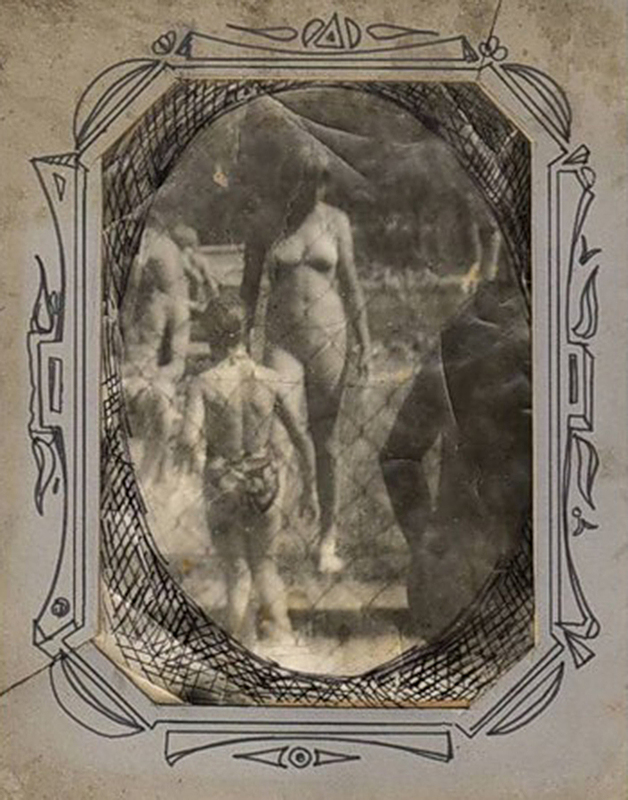 Over the next 25 years he would be the only person to see, collect and document Tichý’s work; Tichý made him presents of bundles of photographs, and Buxbaum bought more bundles from Tichý’s neighbor and “surrogate mother”, Jana Hebnarová, who has looked after him since his mother’s death and was appointed his heir. on behalf of Tichý, then 77, to preserve and exhibit his work. In 2005 he had a major retrospective at the Kunsthaus in Zurich and another at the Pompidou Centre in 2008. 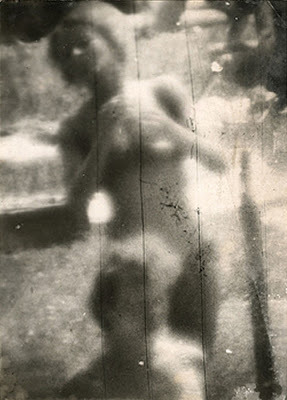 Miroslav Tichý died on April 12, 2011 in Kyjov, Czech Republic.